Guttering is a must for any Residential or Commercial building. It plays an important role in collecting rainwater and taking it away from the building itself. 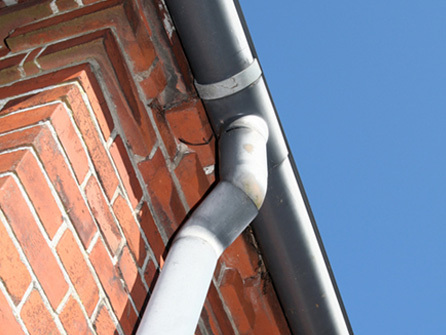 Insufficient or broken guttering can eventually lead to water leaking into the building and causing extensive and expensive damage such as damp and mould. Blocked downpipes and soakaways play a big part in causing damp issues. Getting your guttering checked and cleaned out is very important to maintain efficient and proper function. 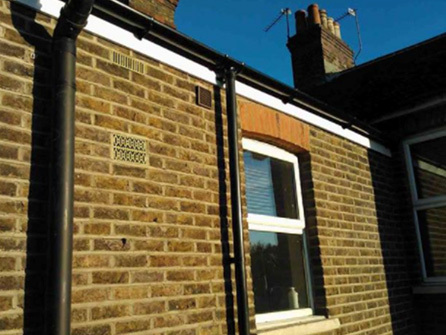 By keeping your property protected from water damage, it will help prevent decay to soffits and fascias, damage caused to brickwork and build up of internal moisture which can cause mould. Guttering can also add interest and charm to the look of the building. Our expert team at First Class Roofing & Building Services have over 30 years´ experience installing the correct guttering for any sized building, ask them for more information on how we can fit it to your building. At First Class Roofing & Building Services, we fit maintenance free uPVC fascias and soffits to compliment your guttering and downpipes. 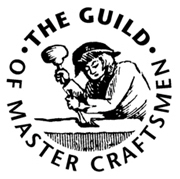 Our top quality uPVC products have a life expectancy of over 20 years and a 10 year ‘no rot’ guarantee. Having uPVC fascias and soffits Installed on your property means that you will not need to paint your roofline woodwork ever again. Also, there will no longer be any flaking paint, nor rotting fascia boards to contend with. 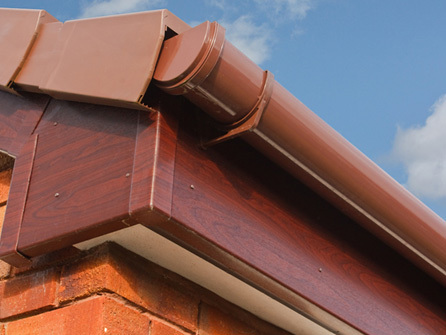 Our uPVC roofline products come in a wide range of styles and colours to compliment any type of property, our team can advise you on what style would best suit your property. 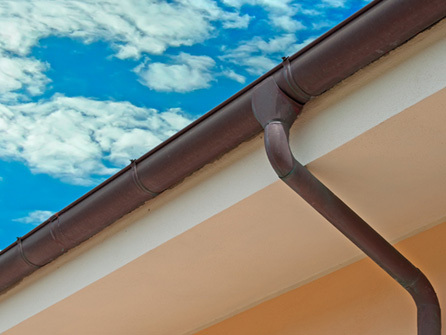 So, whether you are looking for a completely new guttering system for your property or need part of your guttering repaired or replaced, call in the experts. 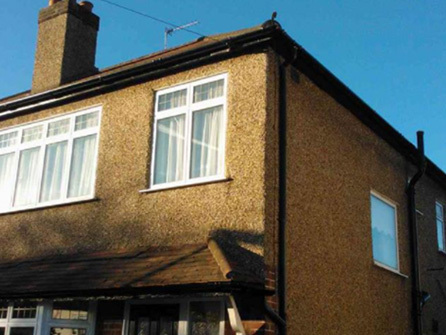 Our team can also repair and paint existing fascias and soffits.